Every once in a while an homage project comes along that actually does what it sets out to do: pay homage. That the object of the present homage is the enigmatic Nina Simone makes Canadian Kellylee Evans’ Nina that much more a definitive statement of a courageous cultural career. Add to this that Evans thoughtfully does not cover Simone’s “Mississippi Goddamn,” and this collection properly frames not only Simone, but also Evans, whose musical vision, already established, is a formidable one. 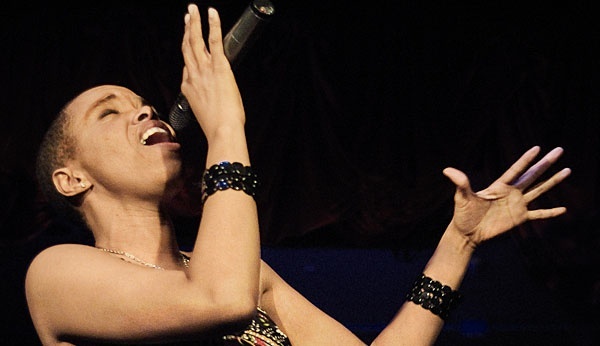 In her most recent effort, 2013’s “I Remember When”, Evans showcases songs by the likes of Eminem, John Legend, and Kanye West, taking them into her own world of jazz, soul, and hip hop while adding a few classics (hello Gladys Knight), and the quirky “And So We Dance” (aka “Alors on danse” in Stromae’s original version).